Kim K: My forehead is so hairy! Kim Kardashian struggles with a hairy forehead. The 34-year-old reality star is known for her flawless appearance and stunning looks. But Kim admits she wasn’t always so picture perfect. “I have the hairiest forehead you can ever imagine!” Kim told People while guest editing the magazine’s beauty pages. Kim initially tried to remove the excess hair by getting her forehead waxed. But she eventually realised she needed something more permanent and decided to get it lasered. 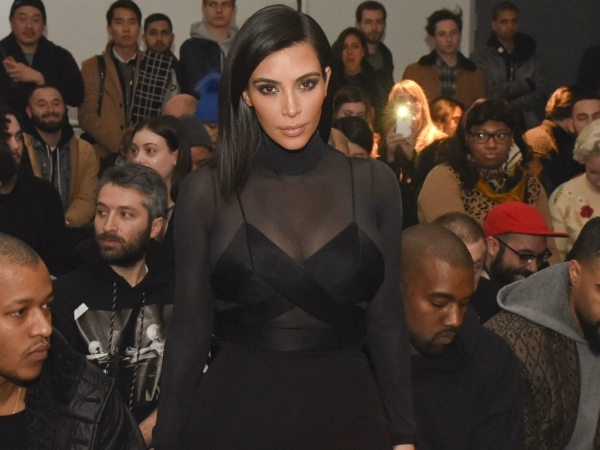 “I didn't change the shape, just got rid of all the baby hairs,” Kim said. But while Kim wanted to remove the hair on her forehead, she was keen to encourage it to grow on other areas – like her brows. And now Kim is more than proud of her statement brows, which are kept in shape by stylist Anastasia Soare. “I love where my eyebrows are going right now,” Kim said. Kim is a red carpet regular and is currently en route to Paris to meet up with husband Kanye West and daughter North. And the 21-month-old is already picking up makeup tips from her mother, with Kim revealing she knows how to apply the basics. “She can open my blush, put the brush in and put it on her cheek. Today, she was opening my lipstick,” Kim said.